Of all the sets to come out this year, 21315 Pop-Up Book is my standalone highlight. 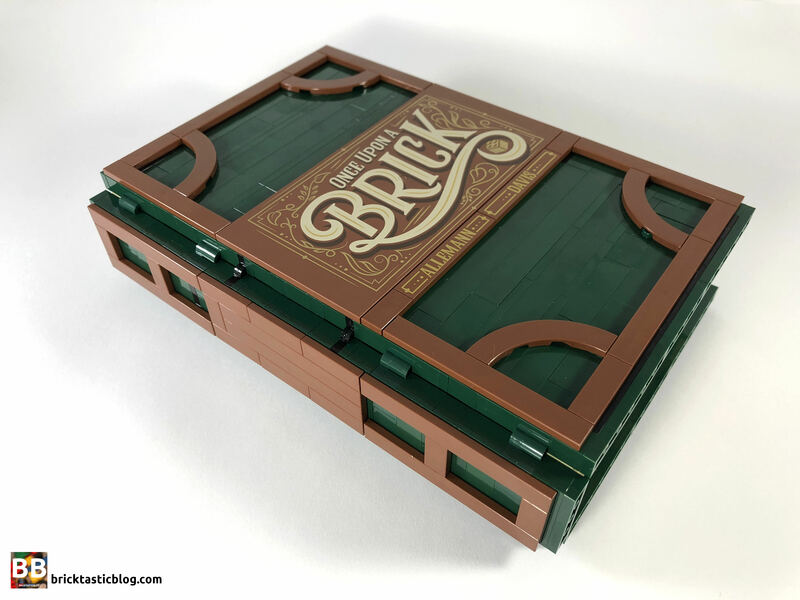 Ever since JK Brickworks and Grant Davis released the original LEGO Ideas submission in mid 2017, I’ve been pretty obsessed with it, going as far as modifying them to be bigger and making three of my own. Finally, after what seemed like forever to wait, 21315 Pop-Up Book hit the shelves on November 1st, and I was onto it straight away! I bought a copy, and thanks to the new shipping system with LEGO Australia, a week later it was in my hands! I finally get to look at it in depth, and see just how LEGO has done it. I’ll also do a few comparisons between the submission, the product, and my larger ones, just for fun. 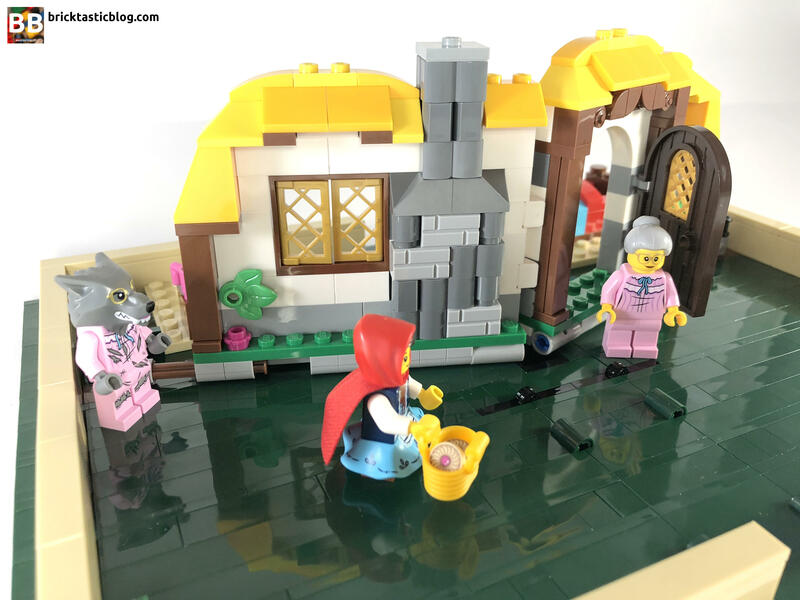 The set depicts two stories – Little Red Riding Hood, and Jack and the Beanstalk. The latter is definitely my favourite, as it really tests the mechanics and shows just what’s possible. Inside the beautiful box you’ll find one instruction booklet, six numbered bags, and two flat 8×16 tiles – one printed, one not. Inside the instruction booklet, there’s also a nice history of the pop-up book, details about the creators and designers of the submission and official set, and the two fairy tales. There are four minifigures (and one microfigure) included in the Pop-Up Book. Granny, the Big Bad Wolf, Little Red Riding Hood, and The Giant. I’ll go through them in the order of the image below. Jack and the Beanstalk’s story includes two characters, with the biggest one being the Giant. Wearing brown pants and a highly detailed shirt and waistcoat, the Giant looks excellent – there’s a stunning amount of detail in the torso, all adding to the story. There’s the goose that lays the golden eggs in his pocket, a golden egg in a little pouch, and a rope slung over his shoulder with some barrels, and LEGO skeleton heads on the back. The detail is excellent. His head has been seen before in a number of CITY sets, and the hair has been used extensively, but that torso is spot on. Jack is very small, as a minifigure trophy, but the printing is second to none. They’ve really put the effort in here. I also got a second one as a spare – bonus! 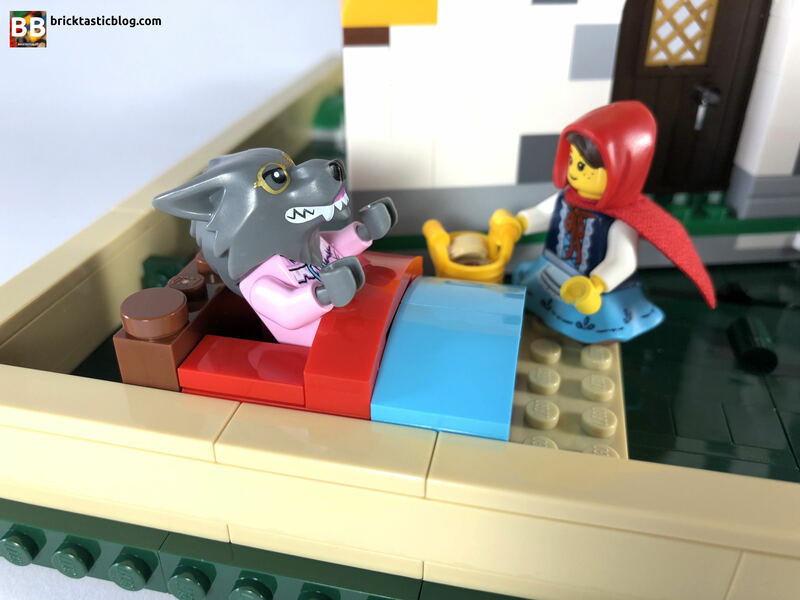 The other story, of Little Red Riding Hood has three minifigures. Granny has a set of pink pyjamas on, and they look brilliant. The legs and torso are brand new, and unique to this set – this is the first time minifigure legs have been done in pink. Granny’s head and hair have been seen before, in a wide variety of themes, but there’s still only seven other instances, and six for the hair, so they’re reasonably hard to find. 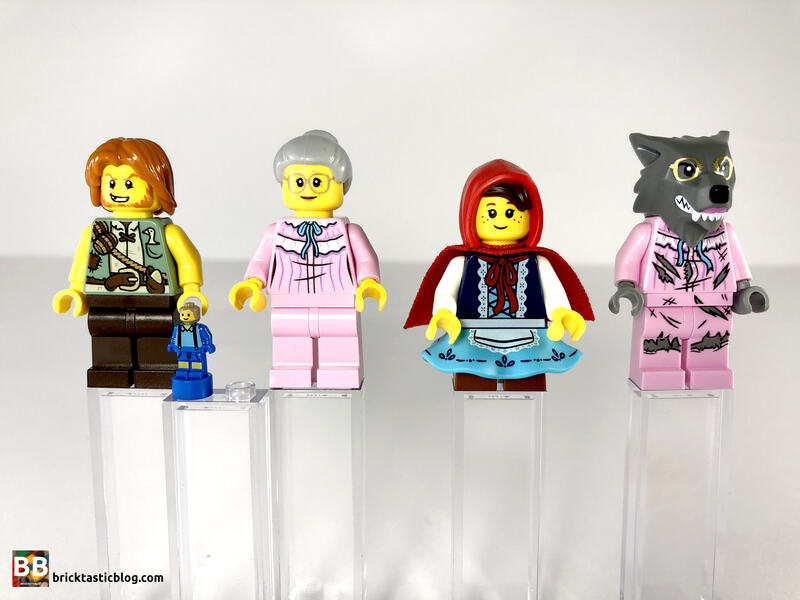 Little Red Riding Hood is the standout minifigure of the set for me, and is chock full of unique inclusions. I love that we’re seeing more skirts in the range – this one has some gorgeous printing. The laced up, frilly top Red has on is beautifully done, and would work well in a number of settings. The red string of the cape is a great inclusion, as well as the printing on the back. 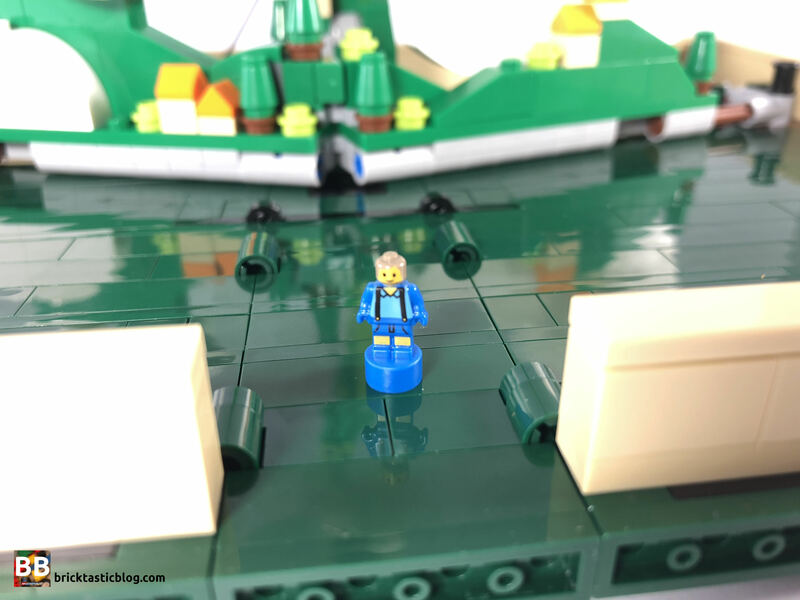 The cape is the soft fabric type, which I love, and the recoloured hood from The LEGO Ninjago Movie CMF’s Lloyd Garmadon works superbly. Lastly, there’s the Wolf. He’s also wearing Granny’s pyjamas (after eating her), and they’re quite ripped and torn, and look awesome. Obviously, they’re unique to the set. What’s great about this minifigure though, is the head. It’s been seen before in CMF 14’s Wolf Guy, but the printing here is different. He’s not as mean, and has got lipstick and Granny’s glasses on! It’s genius. Why Granny, what big eyes you have! There are a lot more excellent parts included in the set, like the various dark green elements. 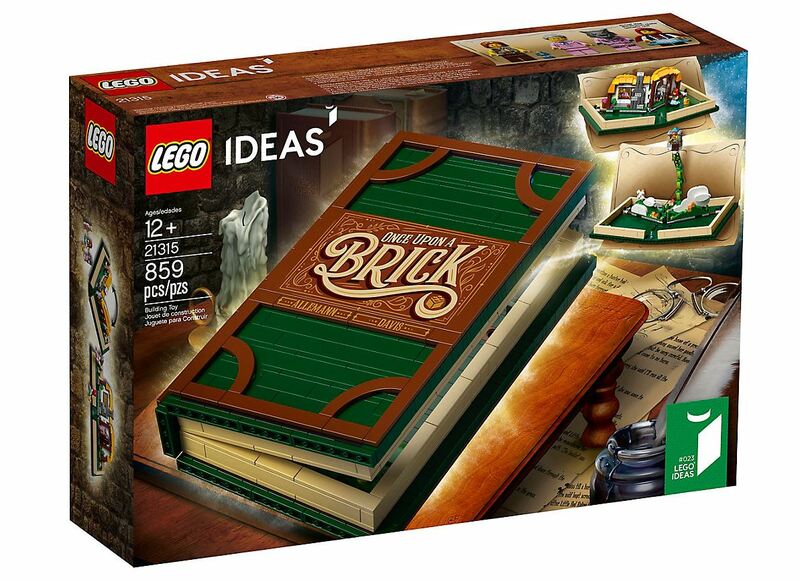 There’s two bags worth, including some brand new elements like the hinge upper and lower bricks, and the 1×12 brick. 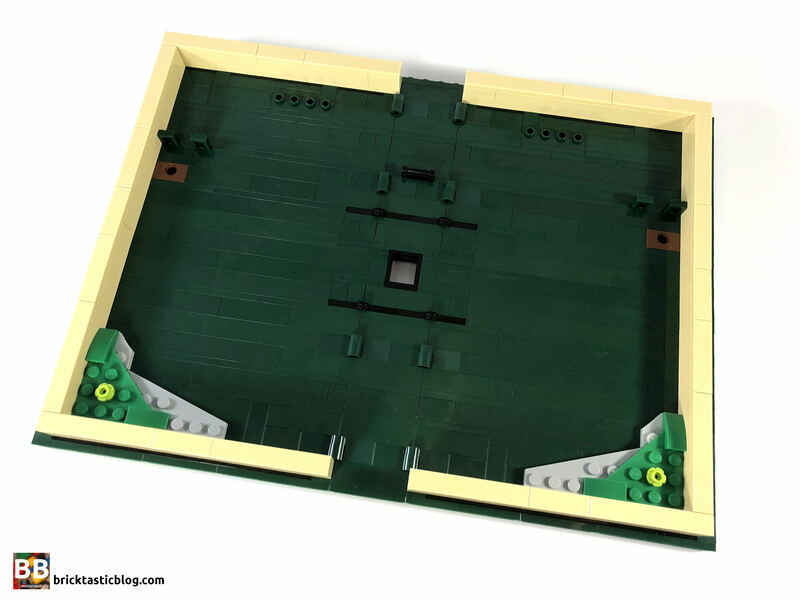 There’s also a couple of colour varieties of 1x1x1 2/3 bricks with two vertical studs – dark green and white. These are interesting elements as they’re a plate shorter than two bricks stacked on top. I love new SNOT elements, and there is another type included here. There’s also the 1×1 plate with vertical stud – another very useful element in the future. The door, having been seen many years ago in reddish brown, is now in dark brown, and unique to the set. Surprisingly the 2×12 green plate is also unique to the set. There’s the reddish brown nameplate tiles, as well as the four 1x1x2 design bricks. 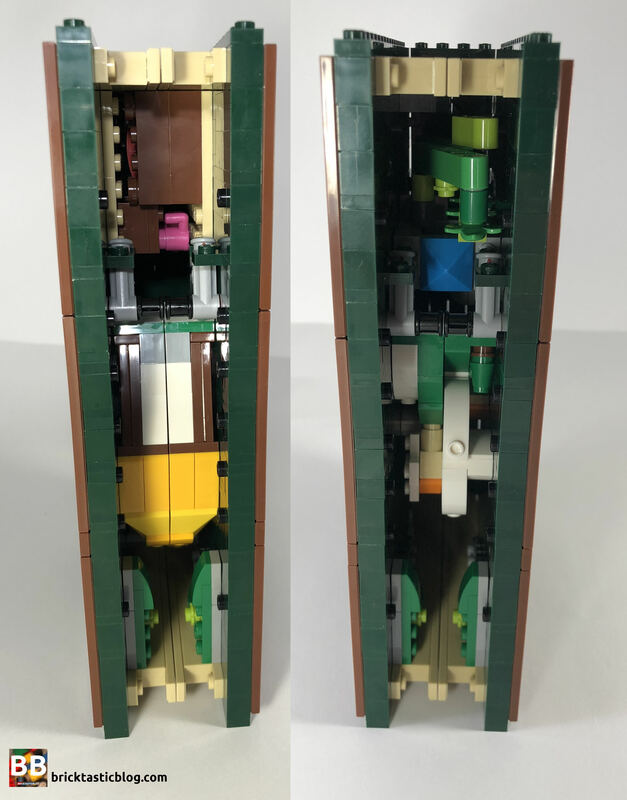 These are only in three other sets, and are excellent for building details. 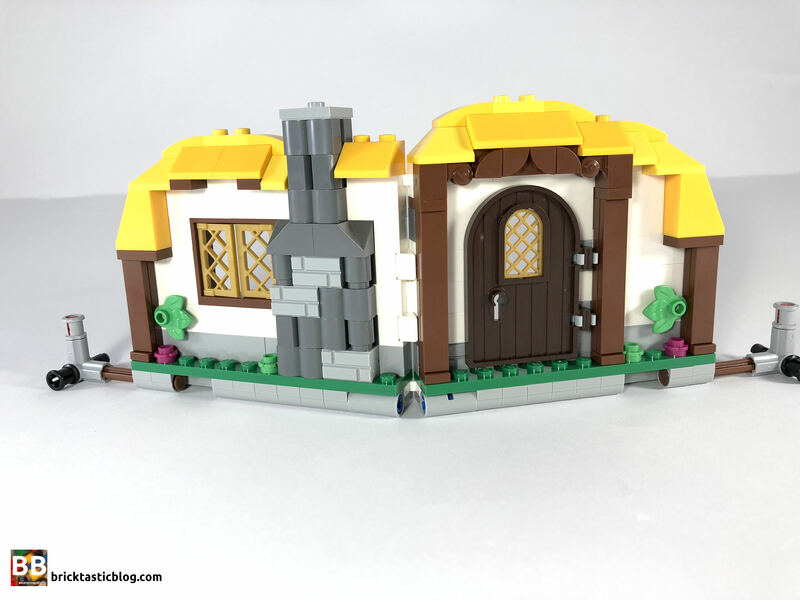 Lastly, there’s one for the microscale fans, and one I hadn’t come across before – the 1×1 double angled roof tile. This is certainly not the first time we’ve seen this element – it’s available in three colours, in a wide variety of themes, but it’s the first time for me, so it’s very exciting! All in all, even as a parts pack – this set is great. 21315 Pop-Up Book is quite unique in it’s play factor. It may look like a bit of a one trick pony with the opening and closing factor, but for both of the stories, certain sections of them can be retold using the set. The one that’s the best for this is Little Red Riding Hood. Add in a woodcutter and the story is complete. Due to scale, the majority of Jack and the Beanstalk is difficult, but the climb is certainly possible. The actual mechanism for opening and closing the book is flawless. It doesn’t catch at all, and can easily be opened and closed repeatedly, with one hand. Even with the Jack and the Beanstalk story, the pop-up motion is amazing. It’s such a unique mechanism, and works every single time. It may be because I’ve upscaled the original, or because I’ve added more inside, but the mechanism for mine is certainly not as easy to open and close. 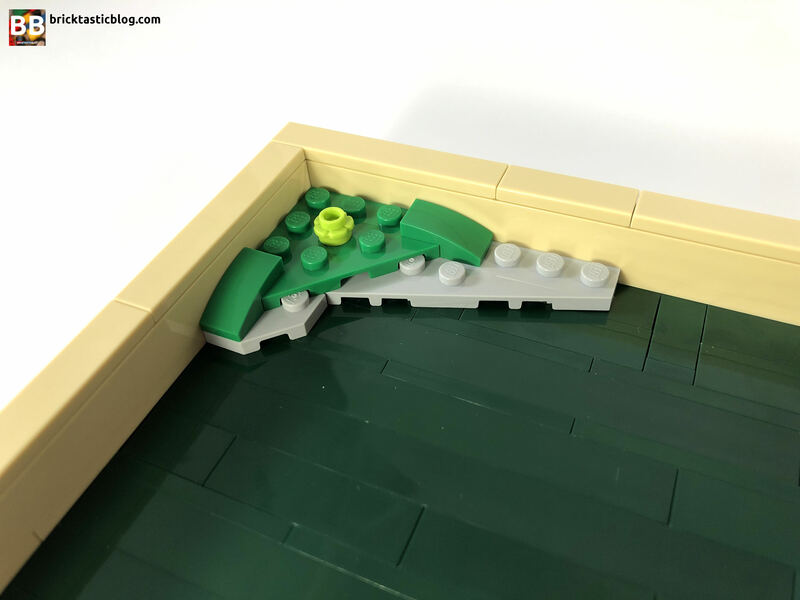 With less bricks inside, it means less weight to pull up from the base when opening. 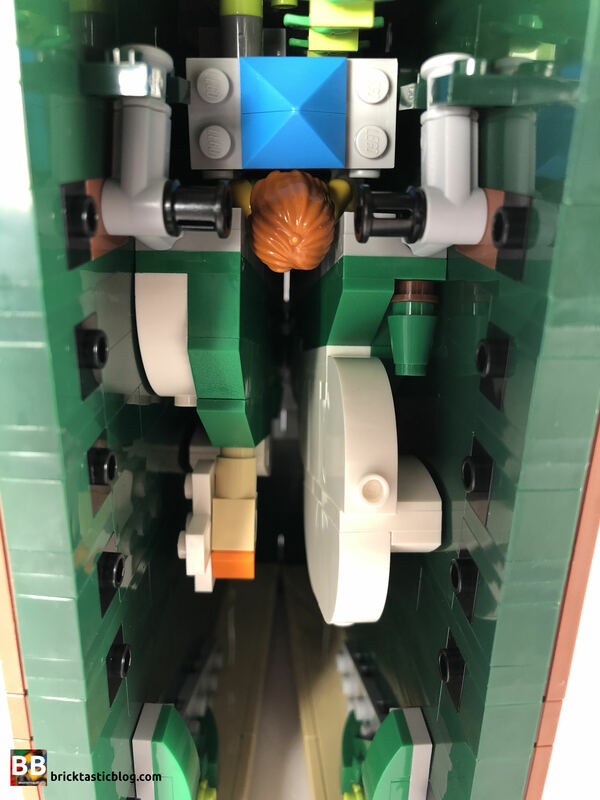 The minifigures in the set being so detailed also add so much more to the play factor. The process begins with all that dark green, in the cover. Working across from the bottom, it all comes up layer by layer, with a lot of SNOT bricks thrown in the mix. These face both inwards and outwards, for the detailing on the cover as well. Once the cover is complete, it’s time to add a bit of strength with the “pages”. These are added layer by layer, with tiles on the top, and connect smoothly. It’s very different to my version, in which the pages were built separately and added to the cover. They were also not as smooth to add – the studs were a fraction of a millimetre off, so it took a bit of pushing to add mine together. Once the cover is complete, the brown tiles are connected to the outside. 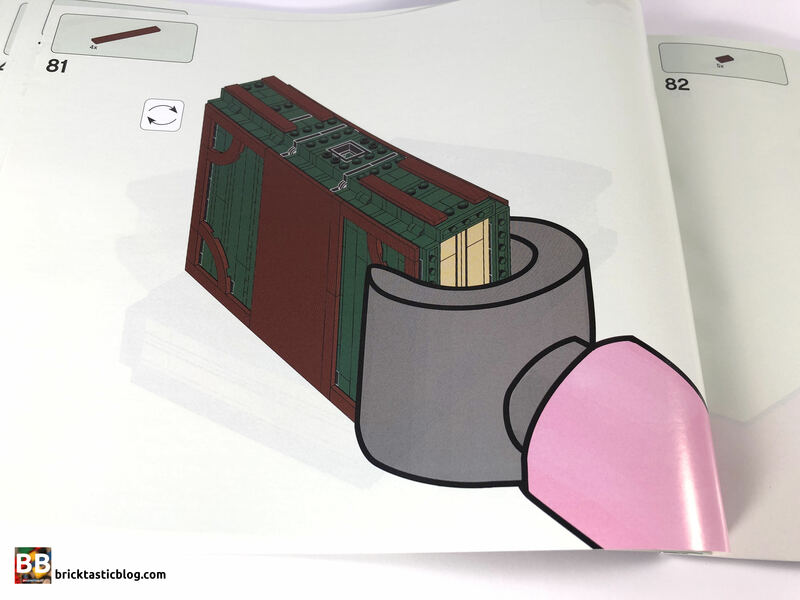 I loved the detail in the instructions of the LEGO minifigure hand grasping the closed book. It was so clever, and great to see the set designers’ sense of humour!Once the cover is done, it’s time to start filling the book with details. The front corner details are quickly built and added in, and then it’s on to the first pop-up wall – Granny’s house. It comes up rather quickly, and after the minor Technic additions underneath are connected, it’s added to the book cover. The designers have added a clever little detail into the inside of the hinge – cheese wedges – to stop the wall folding completely flat, and falling down. The final details – the bed and the table plates – are added and the first story is complete. There’s a few extra parts – enough to make the story wall for Jack and the Beanstalk. It’s excellent that both stories can be built, as it’s incredibly easy to swap out. 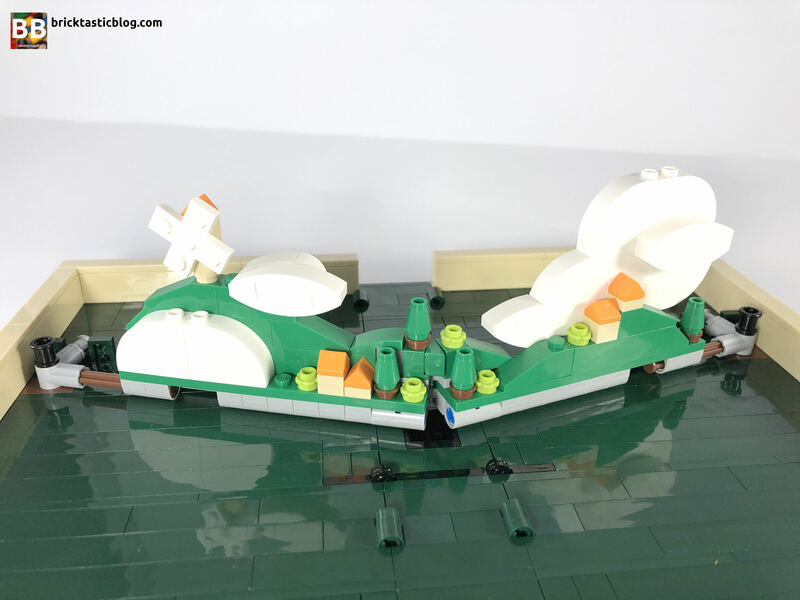 The microscale landscape is built first, followed by the beanstalk and the Giant’s castle in the clouds. Using the string and connection mechanism is genius, although the string’s anchor is not easy to remove, as the connection point is much tougher than just standard clutch power. In a way this is good, as over time I wonder if the string would pull the parts off the cover. All in all, the build process is highly entertaining, with plenty of new things to learn. It’s one I’m glad I got to experience! I cannot rave enough about the look of this set. It’s stunning, and will look amazing on any shelf, but how much has changed since the original submission? 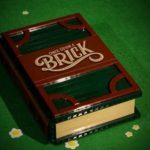 The original dimensions were 22 bricks and two plates tall, four studs wide on the spine, and the front cover at 16 studs wide. The only difference with the new one is the height of the book. It’s been reduced from 22 bricks to 20 bricks high, as well as the two plates at the top and bottom. 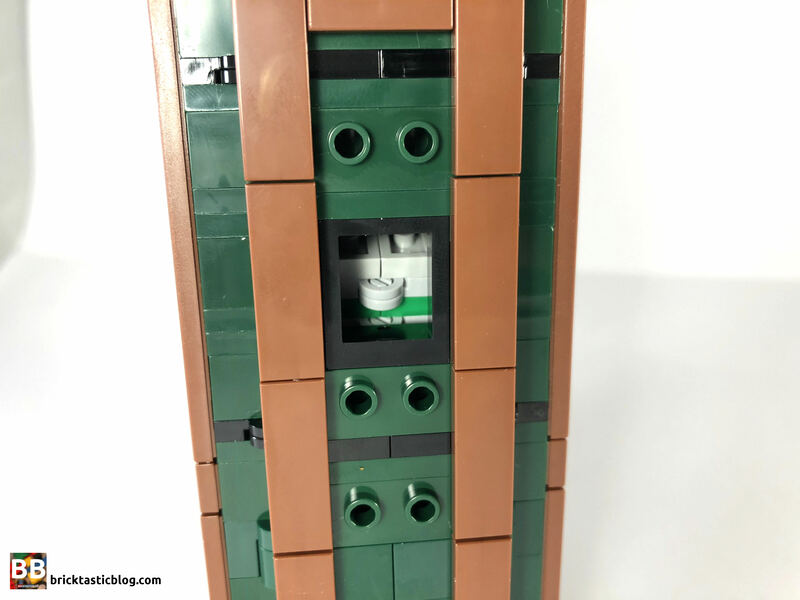 There are also a number of other differences in the set, such as the plates standing vertically to hold the Technic pins in – these were bricks. 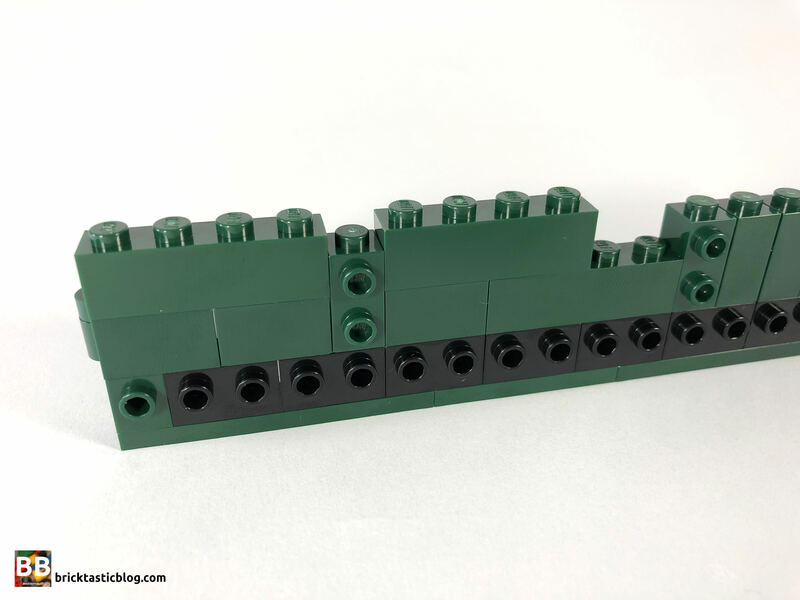 The 1×2 brick with Technic pin has also been replaced with a 1×2 brick with Technic hole. This is a much better connection method, as the black Technic pin can simply be pulled up. The big difference this makes is on the front cover. Without the reddish brown tiles, there would be a visible hole, but the tiles cover this up nicely. It’s something I’d love to incorporate into my larger ones if possible, however it would take a full rebuild, and not all three could do it, without compromising on colours. Another feature the tiles cover up is the window in the spine. This is here to alleviate the slight pressure created when the small hinge on the wall presses on the spine when closed. It’s minor, but can tend to push out the middle of the spine if left unchecked. I’ve found that mine have a bit of a bowed spine now because of this. I was interested to see how much room there was inside when it was folded up. I used the same technique when building my larger ones, and took the side wall of the pages out to see inside. There’s not a lot of room, and it all sits so comfortably, with no undue pressure anywhere. The walls themselves look excellent. Granny’s house has an excellent amount of detail packed into a small build. I love the wooden framing around the door, and the yellow thatch roof is so vivid. I appreciate the fact that they’ve also thought about a little fire inside the fireplace. It’s the little things that make this set pop (sorry, I had to!). 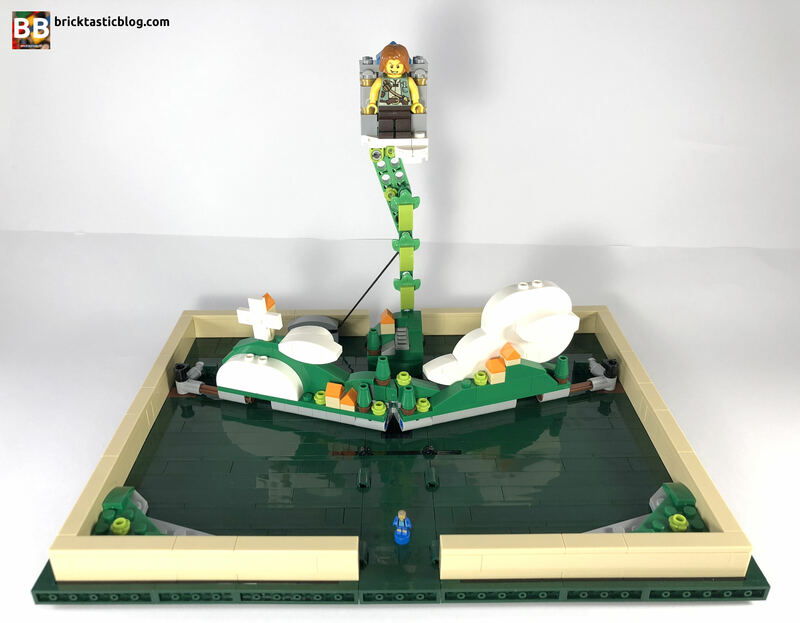 The microscale combination of the Jack and the Beanstalk is fantastic. 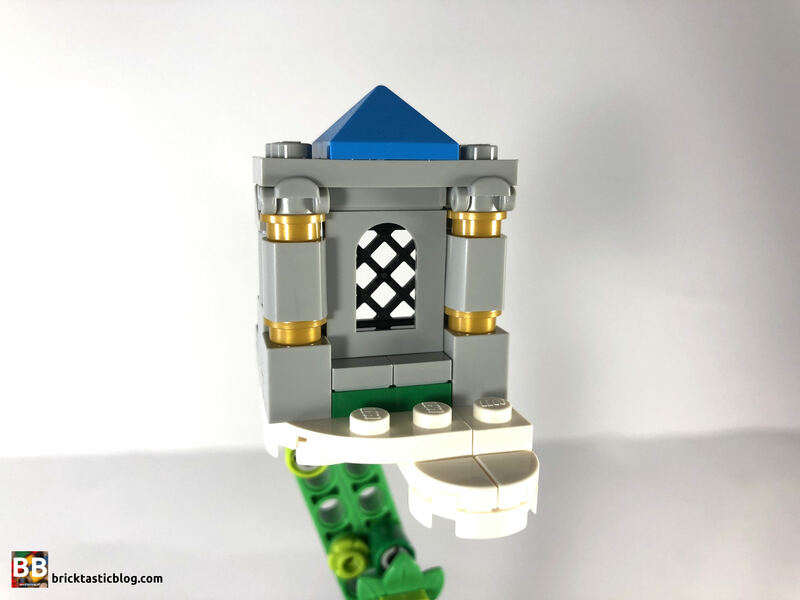 There’s not a lot of microscale in LEGO sets (aside from the new Hogwarts Castle), and that means there is most likely a group of people who haven’t come across it before, if they’ve only had access to standard sets. Hopefully this inspires them to try something out for themselves! The castle is also simple, yet elegant. As far as criticisms go, there’s not much! I would have loved to see dark green tiles on the top of the book (when standing up), as the exposed studs are unsightly by themselves. It would also been great to have some printed elements on the spine, although JK Brickworks has created a video to do this after the set is built. Lastly, it would have been good to have some spare studs to attach the minifigures when the book is folded up. At the moment, they have to be thrown in during the folding process to keep them together. 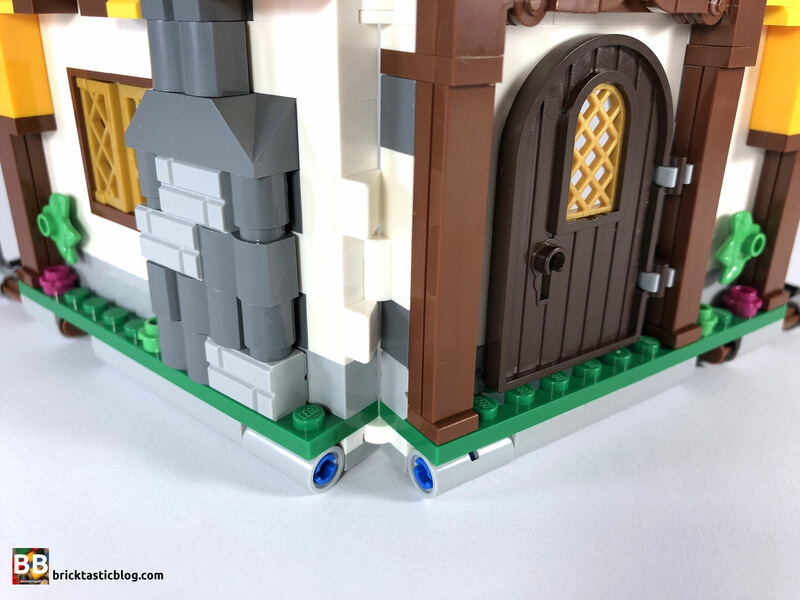 I’ve got some studs in the back of mine (behind the wall) to keep the minifigures there, but it would have been great to have some SNOT bricks on the inside of the paper to connect them sideways, so it could still fold up. I’ll probably add this to mine later. It also would have been excellent to have a spare stud in the spine to attach Jack. The Giant also can’t stay at the front of the castle after closing the book, as his head gets caught in the mechanism. It’s a shame the side clasp was removed, as that was a lovely detail, however JK Brickworks has answered that too, in the same video. All in all though, this is the highlight set of the year for me. It’s stunning. All of the issues I’ve mentioned are minor, and relatively easy fixes. To be honest, the set is a little more expensive than I expected, but it’s still well worth paying for. 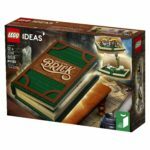 I’d like to think that the price is a little higher due to the LEGO Ideas label, and the uniqueness factor. It’s not an exorbitant amount to spend, but I was expecting under the AU $100 mark. Still, for the price, it’s good value for money. 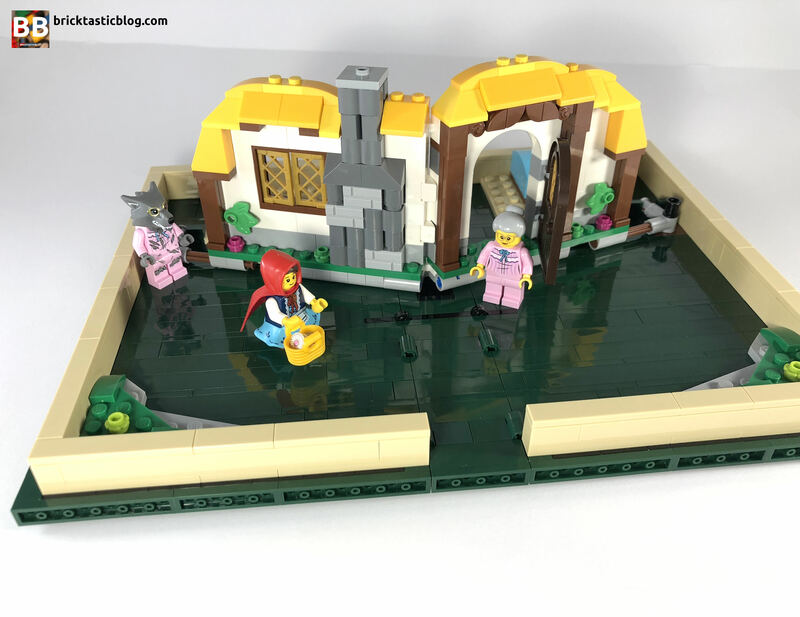 There’s excellent parts, stunning minifigures, a build process that’s highly entertaining and engaging, and it all results in a set you’ll be itching to show to anyone you can. This is definitely a set you’ll want to get multiple copies of – I reckon three would do the trick. 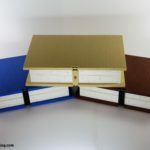 One for each of the books, and a spare to customise yourself! There are some superb elements, and unless you’re like me and have your own customised ones, I guarantee you won’t have anything in your collection like this set! You’ll definitely want to get a copy of 21315 Pop-Up Book.